Hang the Rules. They’re More Like Guidelines Anyway. Autonomous (self-driving) cars are coming. Proponents, enthusiasts, and inventors promise to reduce the amount of auto accidents by up to eighty percent but that still leaves questions for the other twenty percent of the time. Some of the left-over uncertainty revolves around the questions as to who is held liable and who decides who is liable in auto accidents involving autonomous cars. With many moving parts and many interested parties looking on, someone needs to be planning ahead of the excitement. Currently, safety issues are regulated by the National Highway Traffic Safety Administration (NHTSA) while state laws control licensing, registration, and insurance. Twenty-one states have passed legislation related to self-driving vehicles and some of the legislation addressed the testing of such vehicles. Colorado, for example, passed a law this summer that allows autonomous vehicles on the road so long as they obey all the rules of the road such as: seatbelts for passengers, turn signals, and speed limits. Most states that have passed legislation merely provide various definitions of “autonomous technology” and set out some requirements for the testing of the technology. A popular element in the statutes is to have a human driver in a position to take control of the vehicle at any time. Under President Obama, the NHSTA set guidelines for manufactures and developers of autonomous vehicles which included a 15-point safety assessment. Recently, following the results of a fatal accident involving a car in autonomous mode, the Trump administration released “Automated Driving Systems 2.0” which contains suggested guidelines for the testing and development of autonomous vehicles. Under “Section 1: Voluntary Guidance,” the President’s familiar attitude toward government interference in industry is recognizable; “This Guidance is entirely voluntary, with no compliance requirement or enforcement mechanism.” President Trump’s strategy when it comes to the regulation of self-driving cars is simple: don’t regulate self-driving cars. This “hands off” approach rolls back the 15-points safety assessment to 12 elements for consideration in an effort to provide some guidance without stifling innovation. While the two policy outlines share more similarities than obvious at first glance, they both fail to look far enough ahead. Element 9 of President Trump’s policy attempts to address the behavior of the autonomous driver in the event of a crash. However, the guidance from the Department of Transportation and NHTSA amounts to little more than common sense. The guidelines leave it to the autonomous systems to self-diagnose and take any action that would either move the car to the side of the road or shut off completely in order to prevent further dangers. Further, Element 10 is baby step towards answering the question of who is liable in the event of an accident. The section addresses the need to collect data for testing purposes but fails to require that the data be made available to someone in a position to decide liability. Often, in the event of an accident, the manufacturer will be in the best position to decide who is at fault based on the data recorded by merely plugging into the “black box” and reading the data. This fault-finding tool provides an objective account of what occurred without the reliance upon human memory under traumatic circumstances. On the topic of liability and insurance, the guidelines offer no substantial direction as to how to determine who needs to carry motor vehicle insurance (or even if the insurance will still be necessary). The guidelines can only urge developers, manufacturers, insurance companies, and lawmakers to “being to consider” what to do when these inevitable questions arise. Early this month, a United States Senate panel passed a bill that would also hinder specific regulation of autonomous cars by preventing individual states from imposing regulations on performance standards. This is good news for developers and manufacturers but leaves auto safety groups with valid concerns. In the end, the technology is quickly approaching and due to the optional nature of federal guidance, many problems remain unaddressed. 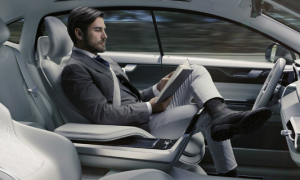 Great freedom has been granted to innovation and the amount promised benefits of autonomous driving technology dwarf the amount of concerns, someone needs to look way ahead and have an insurance and liability system in place in order to avoid confusion. Automobile Insurance in the Era of Autonomous Vehicles, 25 (2015). David Muller, Trump Administration’s New Self-Driving Car Guidance is Deliberately Toothless, CAR AND DRIVER (Sept. 15, 2017, 8:01 AM), https://blog.caranddriver.com/trump-administrations-new-self-driving-car-guidance-is-deliberately-toothless/ (last visited Oct. 5, 2017). Autonomous Vehicles Self-Driving Vehicles Enacted Legislation, National Conference of State Legislatures (Sept. 21, 2017), http://www.ncsl.org/research/transportation/autonomous-vehicles-self-driving-vehicles-enacted-legislation.aspx (last visited Oct. 5, 2017). Tamara Chuang, It’s Official: Colorado Passes First Law to Regulate Driverless Vehicles, THE DENVER POST (June 1, 2017, 2:21 PM), http://www.denverpost.com/2017/06/01/colorado-law-regulate-driverless-vehicles/ (last visited Oct. 5, 2017). National Conference of State Legislatures, supra note 3. Pete Bigelow, Federal Government Releases New Autonomous-Vehicle Policy, CAR AND DRIVER (Sept. 20, 2016, 10:48 AM), https://blog.caranddriver.com/federal-government-releases-new-autonomous-vehicle-policy/ (last visited Oct. 5, 2017). See Pete Bigelow, “A Tesla Crash, but Not Just a Tesla Crash”: NTSB Issues Final Report and Comments on Fatal Tesla Autopilot Crash, CAR AND DRIVER (Oct. 3, 2017, 11:48 AM), https://blog.caranddriver.com/a-tesla-crash-but-not-just-a-tesla-crash-ntsb-issues-final-report-and-comments-on-fatal-tesla-autopilot-crash/ (last visited Oct. 5, 2017). Automated Driving Systems 2.0, https://www.nhtsa.gov/sites/nhtsa.dot.gov/files/documents/13069a-ads2.0_090617_v9a_tag.pdf (last visited Oct. 5, 2017). See Timothy Lee, Trump’s Self-driving Car Strategy: Don’t Regulate Self-driving Cars, ARSTECHNICA (Sept. 13, 2017, 7:30 AM), https://arstechnica.com/tech-policy/2017/09/trumps-self-driving-car-strategy-dont-regulate-self-driving-cars/ (last visited Oct. 5, 2017). Automated Driving Systems 2.0, supra note 9, at 5-15. Seth Bruneel, The Fast and Furiously Approaching Need for Legal Regulation of Autonomous Driving, 30 BYU Prelaw Rev. 33, 44 (April 1, 2016). Automated Driving Systems 2.0, supra note 9, at 24. David Shepardson, U.S. Senate Panel Puts Self-driving Cars in Fast Lane, REUTERS (Oct. 5, 20177, 10:29 AM), http://mobile.reuters.com/article/amp/idUSKBN1CA1RX (last visited Oct. 5, 2017).